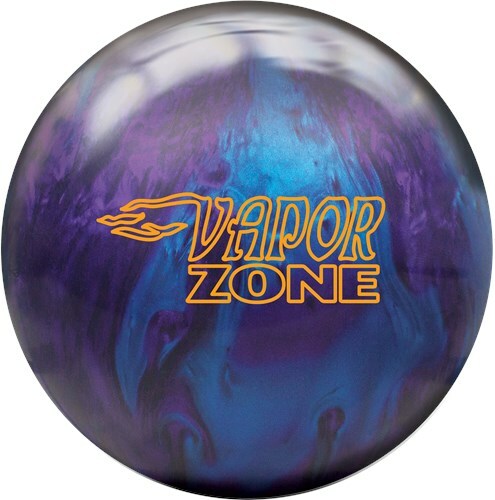 Due to popular demand Brunswick is bringing back the Vapor Zone with some modern tweaks. The Vintage Vapor Zone ball uses a modified Activator coverstock to handle the oil conditions of today and DynamiCore has been added to the Zone Asymmetric core. This ball is designed to get through the front of the lane with ease while producing an incredible backend reaction. It's like Christmas came early all over again. Join Lane Side Reviews as they celebrate the release of a new "OLD" ball with the updated Brunswick Bowling #Vintage #VaporZone. By the end of the episode you'll see why this was Brunswick's #1 Asymmetric ball, and could quite possibly be their NEW #1 Skid / Flip piece! Wow do I like this ball! The Vapor Zone is a ball that goes left after clearing the fronts with ease. On a higher volume houses hot where some of my stronger stuff reads early and doesn't quite save enough energy, I can use my Vapor Zone. It will clear the volume up front and still read strong and change direction without any over/under reactions. For a shiny ball that is this strong on the back, it is not afraid of oil. The Vintage Vapor Zone reminds me a lot of the OG Vapor Zone except this one is more powerful flip motion on the backend. It skids through the front and the Midlane, while revving up and producing a super strong flip backend motion. I laid my out for broken down league and tournament sports shots and its amazing how much this ball recovers off friction, definitely a tournament ball to have in your bag. The Vintage Vapor Zone is a blast from the past with some upgraded technology. It takes that asymmetric Danger Zone core shape everyone loved and pairs it with an updated cover for today’s lane conditions. It has been awhile since I have thrown the original Vapor but the first thing I noticed with this ball is how long it goes. The Vintage Vapor Zone gets great length for an asymmetrical ball. With the layout I chose it allows me to play closer to the dry on some of the fresher conditions. This ball will allow you to use the more powerful core in situations where you would normally need a lower flaring symmetrical ball. I can also see myself drilling another Vapor with a quicker response layout for playing deeper inside and covering more boards. With the correct surface prep this ball will get enough length to play wherever there is some friction. As far as total hook goes, I have this one right on top of my Vintage Inferno with more length and recovery down the lane. If you loved the Original Vapor Zone you will like this one. Be sure to check out the improved length and recovery of the new Vintage Vapor Zone. The Vapor Zone from the Brunswick line is the newewst ball in the Vintage ball line and trust me…..IT IS BACK WITH A VENGENCE!!! This ball takes everything that you loved in the orginial Danger Zone, added DynamiCore Technology to the ball and created an asymmetric monster on the lanes! I nevery threw the Vapro Zone when it first came out, but I have thrown it since its new release and I can tell you this ball is unreal! The Vapor Zone gives you great length, but incredible recovery down the lane to the pocket. This ball is very versatile, but I would strongly recommend it to be used on heavy oil conditions. The Vintage Vapor Zone is the newest release in Brunswick’s Vintage line. With an updated cover (Activator Plus 2.0) around the time-tested Zone asymmetrical core with DynamiCore this ball is a great throwback to the original Vapor Zone that was so popular years ago. As a lower rev player, this ball provides me with a stronger, more angular backend motion than anything else in my arsenal. On a typical house shot, I can get my feet on 28 and cross 15 at the arrows out to about 7 and watch this ball just flip over and come back! On Challenge and Sport Patterns, I am able to play more direct without seeing the ball overreact on the backend. This ball comes out of the box with a 500 Factory Finish with Crown Factory Compound. If you are looking for a ball that will give you a stronger backend motion and watch a ball hook, this ball is it. Likes: This ball is simply amazing. Flys through the front of the lane and backends like no other ball I’ve seen. It somehow keeps coming and hits like a truck. I’ve thrown this ball on house patterns and sport, it does the same thing on everything I’ve bowled on. If you want to open up the lane, this is definitely the ball. Fits all styles! Dislikes: One if the few balls I don’t have any dislikes about. Could not wait for this ball to come out when Brunswick started releasing the Vintage balls. The first one I drilled was a taller pin, about 5 1/2 inches from PAP. On league conditions it was a bit too clean for me to use, but then I did a second one with a stronger layout and it gave me the earlier read I was looking for. I took a little surface off for a while and also used it with a little shine back on it. In either case it is an excellent ball to change to after my Method, which is my first ball out of the bag on league patterns. I could stay in the same zone, no pun intended, and get more off the breakpoint or make a move left and still get around the corner. Depending on the volume of oil, you may need to touch the cover up to use it on the fresh, but definitely a ball you can use all night as you migrate left. I'm more of a tweeter, so I like the energy off the breakpoint without the ball going sideways.